This weekend I am having a relaxed camping weekend with a girlfriend (Robyn) at Wilsons Promontory National Park. Based on archaeological records this area was occupied by Indigenous Australians at least 6,500 years ago. The first Europeans to sight the area is believed to be George Bass and William Flinders back in 1798. Lobbying by the Field Naturalists Club of Victoria and the Royal Society of Victoria let to the area becoming a permanent National Park in 1908. 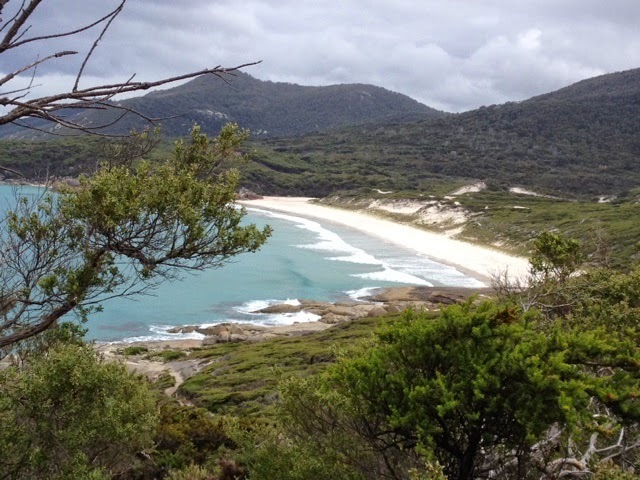 The Wilsons Promontory was used as commando training area during World War 11. A memorial to commandos who lost their lives in World War II is located at Tidal River. During the Black Saturday Fires of February 2009 throughout Victoria, trees in the Wilsons Promontory were struck by lightning, which then led to the loss of up to 50% of the national park through extensive fire damage. But the area has come back with as much beauty as you could ever imagine. 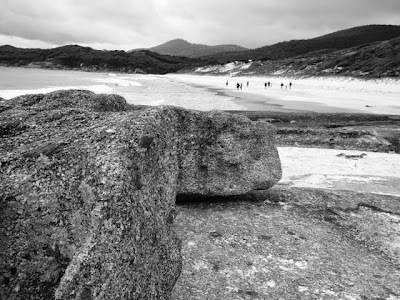 Today we went for a 5km return to one of the parks iconic locations Squeaky Beach. The beach gets its name from the rounded Quartz sand that "squeaks" when you walk on it. 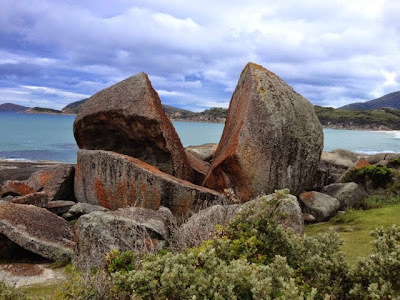 There are some amazing rock formations at the northern end of the beach that create a maze of passages you can explore.